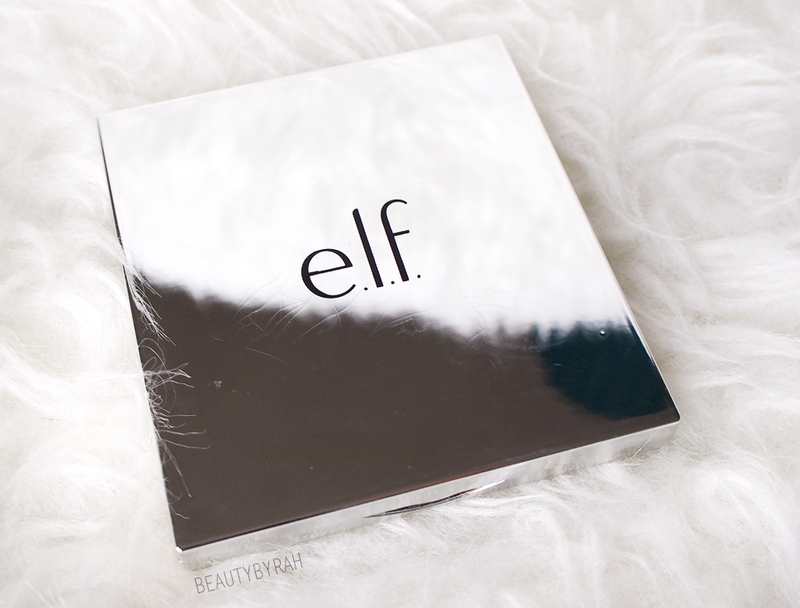 ELF Cosmetics recently came out with quite a few face palettes and I've heard amazing reviews on em'. I actually had my eye set on the blush palette when I entered the ELF store in Fulton Street, Manhattan. However, once in the shop and seeing that array of palettes they had - contour, highlight, blush, foundation and face - I was so spoilt for choice. So, I decided to get a all-in-one palette to try out first, and I picked up the Elf Beautifully Bare Total Face Palette (USD 8). mirror packaging does not last long as the moment I touched it, it was fingerprint galore. 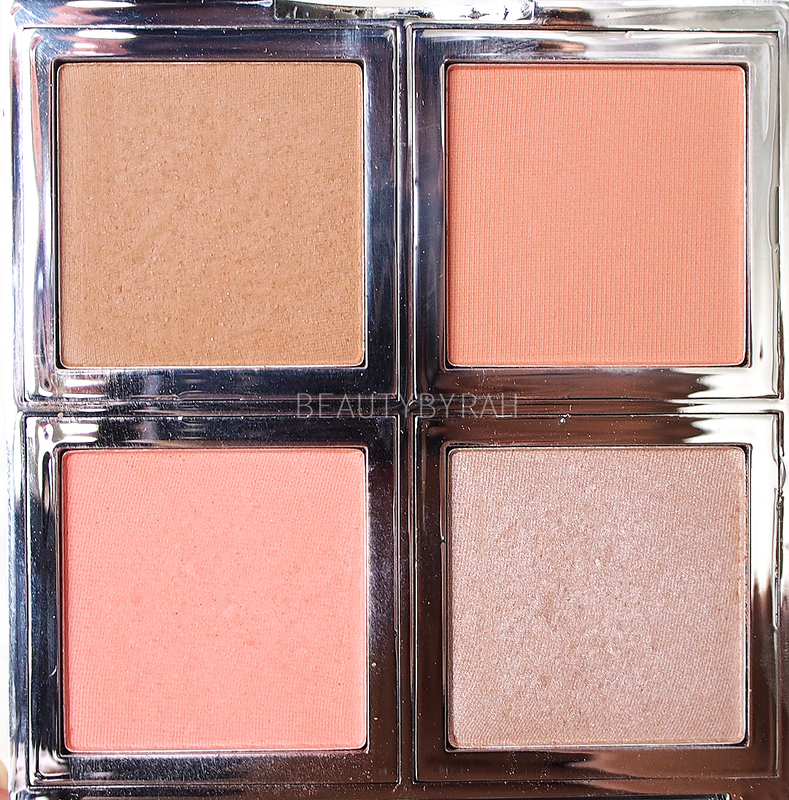 This palette comes with a highlighter (a champagne with a slight peach undertone), 2 matte blushes ( a soft coral peach and a pinkish coral) and a matte bronzer (quite a neutral shade, not too orange nor ashy). These powders do have a little kick back when you dip your brush in. Despite so, the formula feels silky when swatched and they apply and blend really easily on the skin. 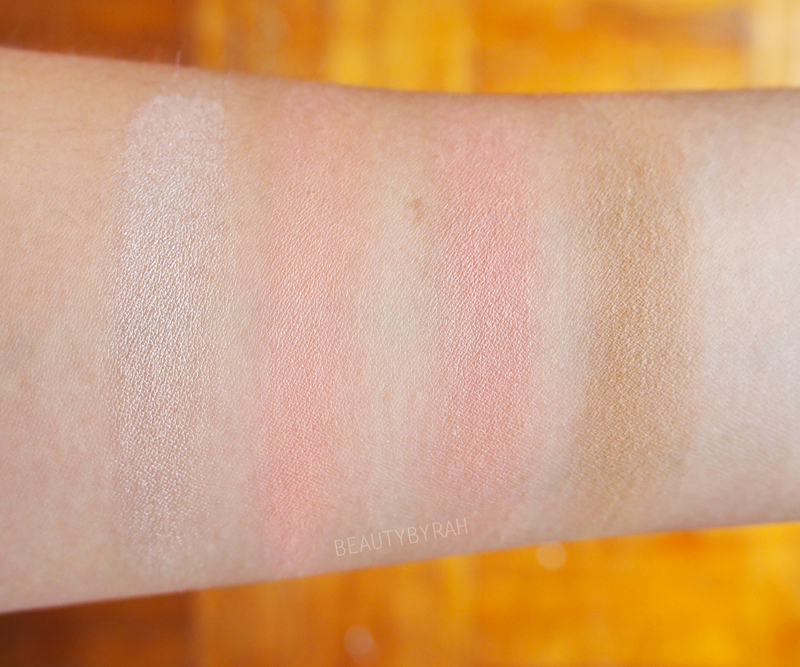 Pigmentation is definitely decent, especially the matte blushes. Since this meant to give a natural, bare faced look, the highlighter isn't the most intense but this makes it perfect for the casual days. If I wanted to glow a tad more, I would opt for something else. Depending on your skin tone, the bronzer can be used to contour as well. I am quite warm, so the bronzer does look a tad cooler on my skin when applied. Thus, this works lovely to subtly sculpt the cheekbones and the jaw line on regular days. With a stipple brush and an extremely light hand, I am able to use this bronzer shade to bronze up my complexion as well. I did not really expect much for the lasting power but I was really impressed when I got home after a long 10 hour work day and saw that my blush was still showing. Blush is usually the first to disappear on my oily skin but this lasted and it was not patchy at all. Overall, for this affordable price and the formulation of the 4 powders, I am really glad that I picked this up and highly recommend that you do too if you see it around! 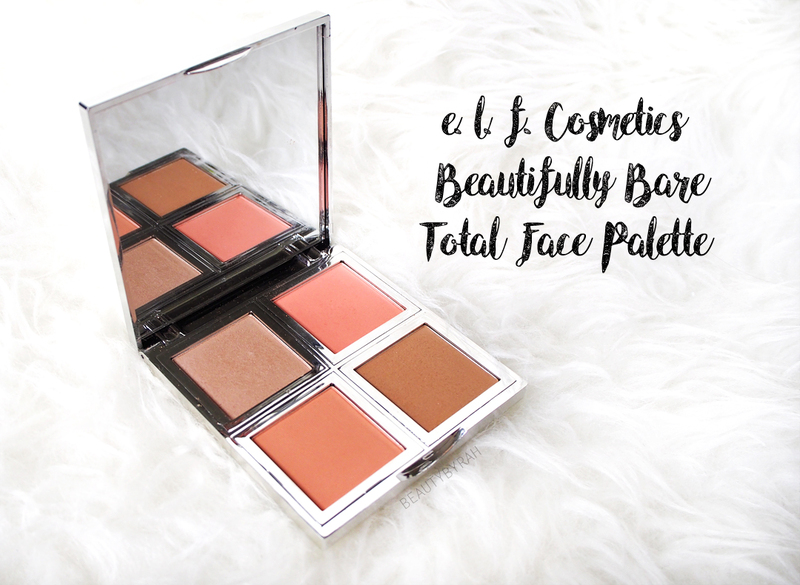 You can check out this palette at e.l.f Cosmetics website here.